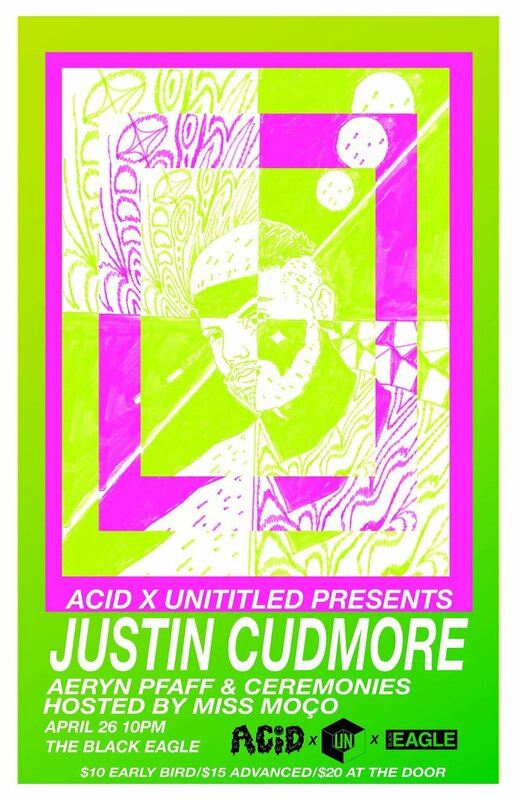 Justin Cudmore is a Brooklyn-based, Midwest-born DJ who regularly appears at The Bunker and other New York events and clubs such as Elsewhere, Output and Good Room. He has played at groundbreaking queer parties such as Wrecked, Queen!, Horse Meat Disco, Hot Mass and Club Toilet, and has gained a following all over the world with appearances at Smartbar Chicago, U Street Hall, Panorama Bar at Berghain, Is Burning Amsterdam, Razzmatazz Barcelona, DC10 and Lux Fragil. His bold, acid-flecked distillation of house and techno has found a home on the labels that are helping to shape the current landscape of transgressive body music, including The Bunker New York, Detroit’s Interdimensional Transmissions, Phonica and SF’s Honey Soundsystem HNYTRX. Justin's sound is defined by snaking acid lines, whip smart drums and offbeat rave melodies. Justin's coming-of-age as a fan and creator of dance music took place amidst the wide expanses of central Illinois. As a kid growing up in the state’s tucked-away capital of Springfield, he played drums as a jazz percussionist in school. A post-graduation move to Chicago led him to work for the influential dance music blog Little White Earbuds, opening him up to fully experience the city’s thriving underground house and techno scene. In 2013 Justin moved to Brooklyn and was soon popping up on dance floors and behind booths everywhere, particularly at The Bunker, where he began playing alongside Gunnar Haslam and Mike Servito in a project they called ‘Hot Mix’, infamous for extended back-to-back sessions that go from open to close. Of the wealth of Midwestern producers and DJs rightfully receiving their due these days, Justin stands out for his abilities to slay the floor as both a DJ and a producer.